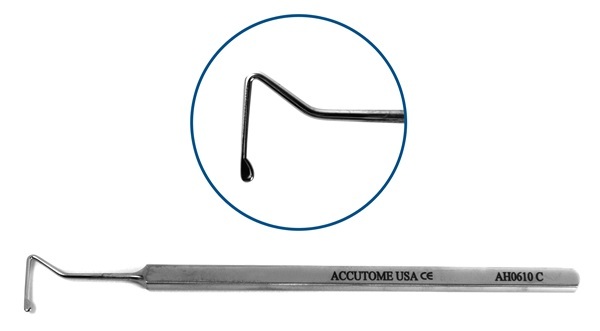 Straight shaft, 6mm flat hook with bulbous tip. Flat handle. 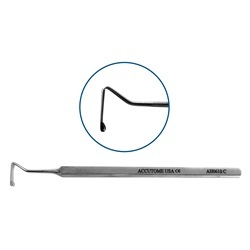 Overall length: 133mm.